The SMOK X-Priv Baby is a small and wonderful TC Kit with unique glassy appearance and 2.0 inch large screen. Powered by the built-in 2300mAh large capacity, the X-Priv Baby Kit brings great vaping for your with 80W max power. 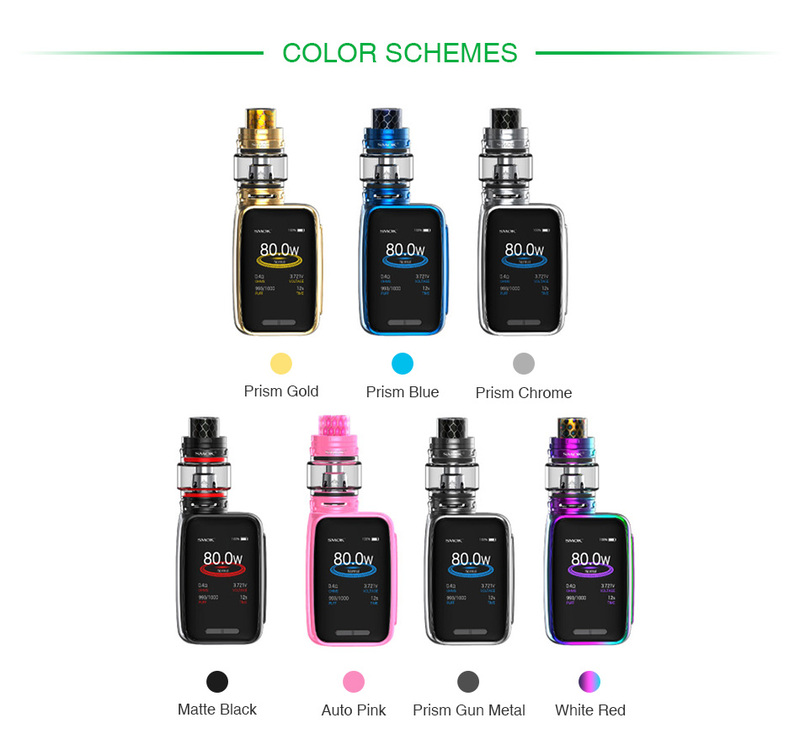 Inheriting from SMOK X-Priv Kit, the SMOK X-Priv Baby is an extremely small and portable TC Kit consisting of X-Priv Baby 80W MOD and TFV12 Big Baby Prince 6ml tank. With the glassy texture at front, cobra pattern at back and a 2.0 inch large screen, the X-Priv Baby kit gives out a strong sense of cool, wildness and dignity. Powered by the built-in 2300mAh large capacity, the X-Priv Baby Kit fires up to 80W max output with stable VW/ TC modes to bring strong and great vaping for you. Perfectly compatible with TFV12 Big Baby Prince tank which features powerful core heads, easy top filling with patented locking system and precise adjustable airflow, the SMOK X-Priv Baby 80W Kit is definitely an excellent vaping device for you! 3 months for X-Priv Baby MOD.